Can I Really Get Fast Cash From My Boat? Are you a businessman, a basketball player or a professional fisherman, and you’re worried that your boat has become a dead investment? Well, think again! There are opportunities where you can use your boat to unlock some serious cash! 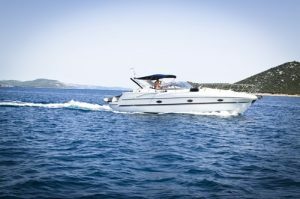 There are plenty of title lenders in California who can help you finance your emergency needs by using your boat as collateral. This means that you can take a loan amount that is comparable to the resale value or the equity of your boat! Californians are avid owners of a wide variety of business and luxury boats! From the humble inflatable to race boats, cruisers, houseboats, and catamarans, many people will invest a great amount of money into these sailing ships. 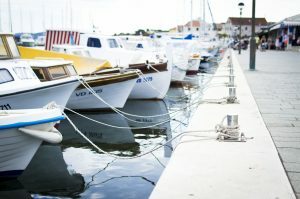 Boat title loans are a simple and direct way to capitalize on the value of your boat. So how do you know what your boat is worth? Nowadays, with the use of technology and the world wide web, it is very easy to check the value of a used boat. You can go to websites such as Nadaguides.com, Boattrader.com to get a general sense of ​​how much your boat is worth. And you don’t even have to leave your home! What is really amazing is that most title lenders will gladly finance up to 60% of the resale value of your boat. That kind of money can come in handy for any urgent needs such as medical bills, legal fights, home repairs, an emergency trip, a business investment–the possibilities are endless! There are plenty ways you can use this money wisely for your immediate needs! So instead of waiting in line at the bank for a loan, start looking up the value of your boat to see the possibilities for yourself! To be eligible for a boat title loan all you need is the boat title (the front and back portions of the California “Pink Slip”), proof of income (such as pay stubs, salary slips, bank accounts or federal tax return), and proof of your residency in California. You will also need a valid boat license and registration papers. With these documents ready to go, you’ll be able to take advantage of the boat title loan! 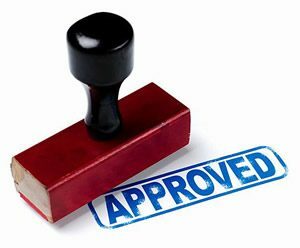 The best thing about a boat title loan is that you do not have to go looking for a title lender; Reputable and professional lenders are available online! Just enter your personal information and the details of your boat such as the year, the make, model, length, and horsepower. Fortunately, these quick title loans do not require extensive credit checks. It is not important if you have bad credit, or a poor repayment history. The loan will still be easily accessible for you! As long as your boat is in good condition, is well maintained, and has workable features, you will not have any problems with taking out a large collateral loan. Unlike bank loans, our speedy boat title loans cut through formalities like a stingray in blue waters. If you are ready with your documents, you can get your loan approved in just fifteen minutes! Don’t lose another minute! The only disadvantage you may have is the interest, which may be high. However, with experienced lenders, the index will be below 25% APR. This is due to the risks the lender is taking when giving loans to clients without credit. On the positive side you’ll be able to get your loan in the nick of time! In addition, you’ll also enjoy the benefits of a flexible repayment program! Some lenders are able to stretch payment plans up to 36 months with terms that make them comparable to banks! This makes monthly payments low, reasonable, and easy on your wallet. Need a Boat Title Loan? We Can Help! If you’re looking for trustworthy lender for a boat title loan, look no further! Title Loans Express is able to help you use your boat to take out a loan! No need for formalized paperwork or complicated applications. You won’t need to go through an extensive process involving credit checks or investigating your financial history. Unlike banks and other lenders, we make our applications easy as a breeze. Give us a call today at 855-303-CASH (2274) to get started on your application, or you can even apply online! Title Loans Express can approve your loan in just 15 minutes! Get up to 60% of the resale value of your boat, RV, motorcycle, or vehicle and we can help you get the loan that you need!